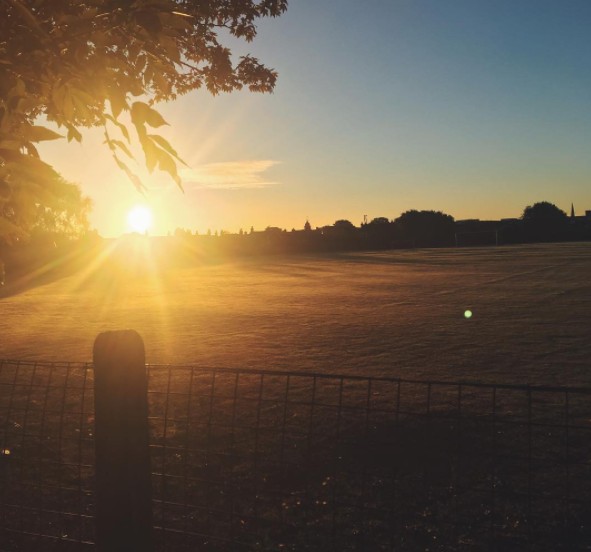 Last week, blogging goddess, housemate and all round angelface Saffron wrote a blog post about challenging yourself to do something new and push yourself mentally/physically/academically. You should head on over and read her post yourself, but essentially it was challenging the reader to do something to challenge your everyday routine, and reap the benefits. For this month, Saffron's given up bread, and I've seen her transformation myself. I really didn't realise how quick the effect would have on someone's body, but she's looking amazing and told me her self confidence has been boosted because of how much better she feels in general. And I basically thought, I want some of what she's having. So I've come up with a couple of ways to challenge myself for the next month. Firstly, is to exercise four times a week (minimum). This isn't actually a huge push for me, because I'm currently training for a half marathon, but I'm very inconsistent with my training, some weeks I'll run everyday and others I'll go once a week, so staying consistent is key to this. BUT, my biggest challenge, and something which I know will challenge me, is to give up chocolate until Christmas day. Starting from the morning this post is published, until 25th December, I'm not going to have any chocolate. I mean, how exciting will it be on Christmas morning when I get to eat chocolate again??? So I challenge you to challenge yourself this December, and if you do decide to do something extra, please let me know!